Many of the Christmas traditions practiced by British people are also practiced in other parts of the world. So where do these traditions originate from and how do they compare to how they are celebrated today? 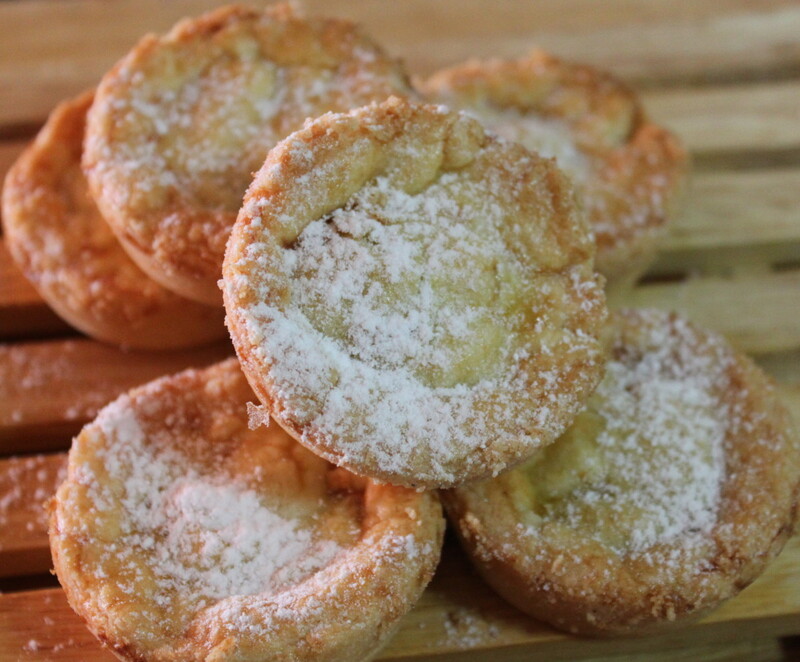 Mince pies are small cupcake size pies eaten hot or cold around Christmas time. Made with mince meat - a mixture of dried fruits, suet and sugar similar to that in Christmas pudding, the pie is encased in pastry and sometimes topped with roll out icing. Today's mince pies can be commercially bought, homemade from scratch or jars of mincemeat can be purchased to produce your own pies. Guests stopping by for a cup of tea would be offered a pie and children often leave out a mince pie for Father Christmas along with a cup of milk and a carrot for his reindeer. The cooking of pies dates back to the time of the Crusades when those returning brought back European methods of cooking with them. They have been known by a variety of names, the minched pie, Christmas pie and mutton pie to name a few. Traditionally made in an oval shape to represent the manger that Jesus slept in, by Stuart and Georgian times they were baked in a variety of shapes including stars, hearts and flowers. One tradition from the Middle Ages said that if you ate a mince pie every day from Christmas to January 6th you would have happiness for the next 12 months. Other traditions include making a wish when eating your first pie of the season and the tradition of placing a star shape pastry top on the pie to represent the star that lead the wise men to Jesus. Boxing day takes place on December 26th and in its modern form is a public holiday, day for eating leftovers, shopping and sport. Historically it began in the UK in the Middle Ages as a way of providing relief for the poor. Collection boxes used throughout the year would be opened and the money distributed to the poor in the community. In Victorian times servants who worked Christmas day would be given Boxing day as a holiday to visit with family and would be presented with a 'box' or gift. Christmas pudding in the UK is traditionally served as a desert eaten after Christmas dinner. Decorated with a spring of holly and often with alcohol poured over it and set alight, it is sometimes also know as plum pudding. 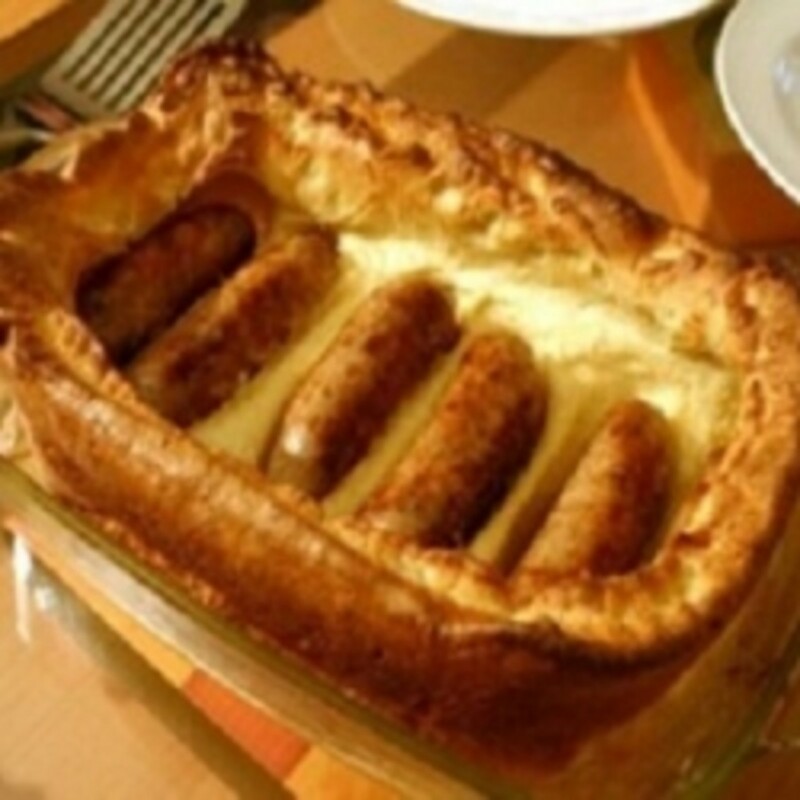 Families often have their own particular ingredients and recipes are passed down through the generations, although it is increasingly common to buy a ready made pudding. The modern pudding is made with a variety of dried fruit, beadcrumbs, sugar and other ingredients and is served with brandy butter. Other serving options include ice cream, custard and whipped cream. The origins of the pudding differ in the ingredients. In the 14th century a porridge like pudding called frumenty was prepared to be eaten prior to Christmas as a way to fast in preparation. It was a savory type of pudding made with beef, mutton, rasins, currants, wines and spices. Over time this recipe evolved and the the end of the 16th century it became a thicker consistency with the addition of eggs, breadcrumbs and other dried fruit. It evolved into a desert type meal until it was banned by the Puritan movement in 1664. 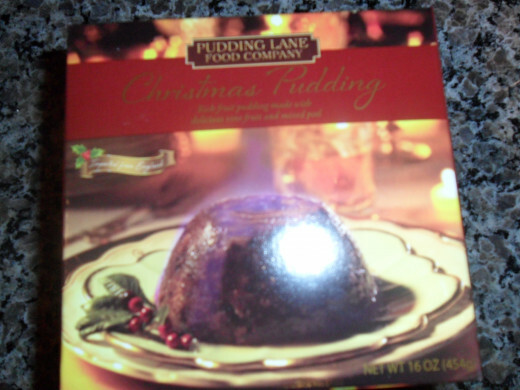 Plum pudding was reestablished in the 1700's and by the Victorian era the recipe was similar to that of the one used today. To represent Jesus and the 12 Disciples. The person with the coin in their slice would have good luck all year. A Pantomime or Panto is a traditional play performed around the Christmas period, usually based on children's stories and fairy tales. In the form of a play, it is humorous with many key aspects that run through all Pantomimes. The key female roles are usually played by a male actor and vice versa. There are key catchphrases such as 'he's behind you' incorporated into the story and there is a lot of audience participation. The costumes tend to be comical and brightly colored. Today many celebrities participate in Panto and popular personalities can attract a large audience. The beginnings of panto can be traced back to Roman times when during the midwinter feast everything was turned upside down and men and women swapped roles. Modern Pantomime first came to the UK in the 18th century through the Italian tradition of improvised theatre. Traditional stories were mixed up with fairy stories and included common characters such as clowns and heroes. Traditionally the performances began on Boxing Day and by the early 20th became popular in musical halls with famous performers. 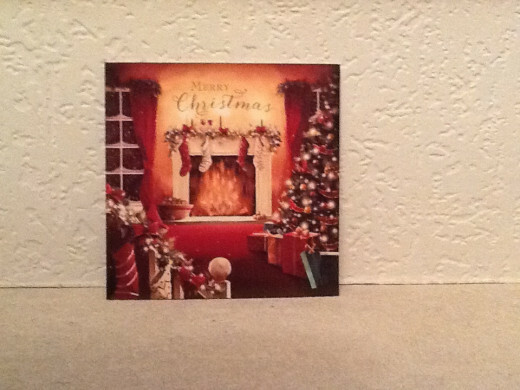 The origins of the custom of sending Christmas cards in the UK began around the same time that the postal service became accessible to the general public. Penny Post enabled ordinary people to send letters in a way that was only affordable to the very rich previously. The Penny Post, started in 1840 was made possible by the building of railways ensuring more mail could be carried at a faster rate. 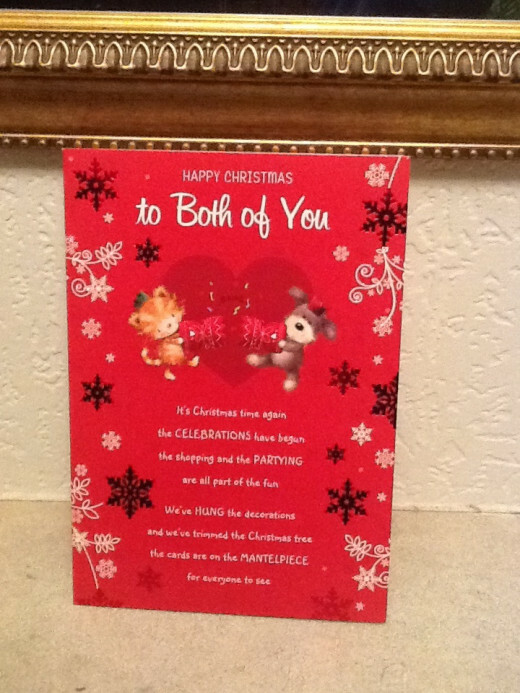 In 1843 Sir Henry Cole and John Horsley came up with the idea of the Christmas Card. Horsely was an artist and together they designed the first card. 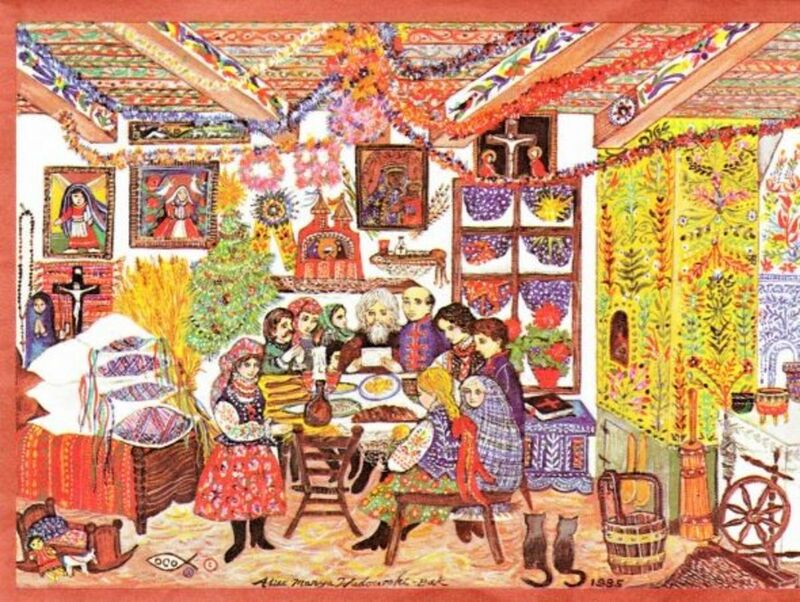 The card was made of three panels, two depicting people taking care of the poor and one with family eating Christmas dinner. Around 1000 cards were printed and sold for one shilling. Cards became increasingly popular and could be posted for a half penny which was cheaper than an ordinary letter. By Victorian times snow scenes, robins and Nativity scenes became increasingly popular. Homemade cards also became popular at the beginning of the 20th century and were often delivered by hand. Modern cards come in many forms, joke, traditional and even personal. Some families take a traditional family portrait to add to their card. In the UK many charities produce cards as a way of raising money and to raise awareness. Father Christmas is the modern name given to the character known in other countries as Santa Claus. Often shown dressed in a red suit trimmed in white fur with a black belt and boots,he has a long white beard and mustache and carries a sack. On Christmas Eve he comes down the chimney of the homes of good boys and girls and leaves them presents in a stocking. Children traditionally leave him a mince pie, glass of milk and a carrot for his reindeer. He is thought to live in the North Pole, where children can send letters to him requesting their most wanted gift. In Britan the first description of Christmas as an old jolly man was in the early 17th century and over time the personification of Christmas was referred to as Father or Old Christmas. He is depicted as an old cheerful figure acclimated with feasting and drinking. In Victorian times he became increasingly linked to the folklore of St Nicholas and the concept of gift giving. The yule log is one of the common images at Christmas time. The custom of burning a yule log is a very old one, dating back to medieval times. In Scandinavia and Northern Europe the word Yule was used to describe the Winter solstice. A great ceremony was made of choosing and bringing into the house a whole tree which was lit using the remains of the log from the previous year. The new log was burnt throughout the twelve days of Christmas. In Cornwall the log is know as The Mock. The log is dried out, the bark removed and then brought into the house to burn. The custom is found in many places in Europe, with each county using its own specific type of wood, For example in England Oak is preferred but in Scotland Birch is used. 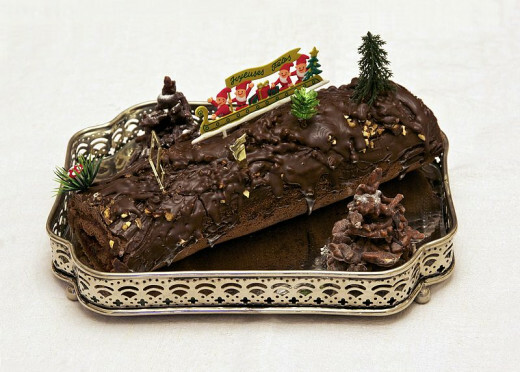 A chocolate log has become a traditional pudding served at Christmas time and is often made by children at school. The tradition comes from France and Belgium. To made a log a chocolate sponge flat cake is made in a large oblong pan. It is then covered in thick cream and rolled up to make a sponge roll. The outside is covered in chocolate flavored cream to look like bark and a fork used to make log markings on the roll. Decorations can be added such as a robin, pieces of holly or Merry Christmas signs. 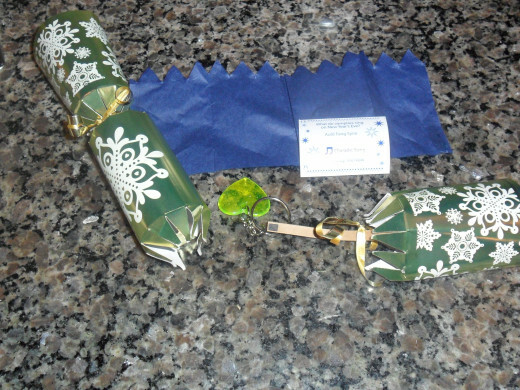 Christmas Crackers are a must to any modern Christmas dinner table. Filled with a joke, prize and paper hat, they have become part of the traditions of the day. 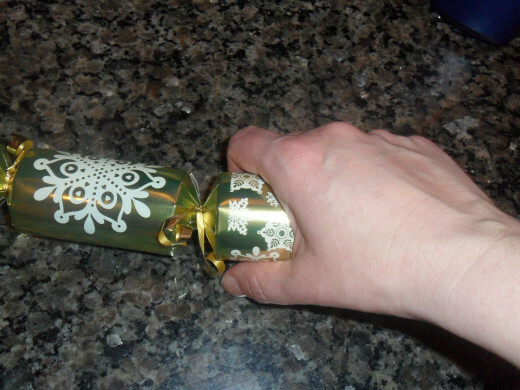 A cracker is cylinder shaped, usually brightly colored and when pulled between two people a popping sound is heard and a joke, gift and hat fall out. 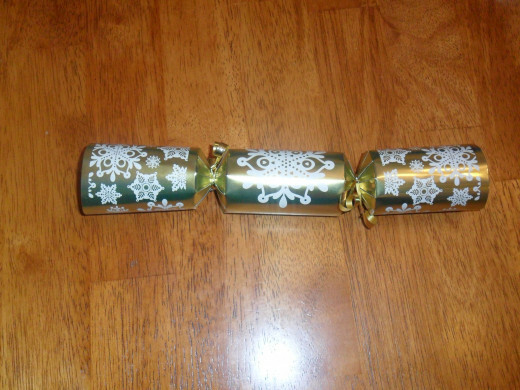 The person holding the larger piece of the cracker wins the contents. The cracker was invented by a sweet maker called Tom Smith in the mid 1800's. Smith tried to adapt the french bonbon - an almond wrapped in paper by adding a motto or riddle to the wrapping. His idea had limited success, and after being inspired by the sparks and cracks that are given off from a burning fire he developed his idea further by adding a snap sound when the wrappers were pulled off the sweet. His cracker idea was originally called costaques and grew in popularity. His sons carried on his idea and added hats. The range expanded to include themed crackers. Today crackers can be purchased in hundreds of themes, with a huge variety of gifts inside. The use of a Christmas tree became popular in the UK in the Victorian era when Prince Albert had a tree installed in Windsor Castle where the tree was decorated with candles to represent stars. These trees were dangerous and led to the use of artificial lights and trees by the beginning of the 20th century. Since this period trees have been made from ostrich feathers, metal, glass, plastic and paper mâché. Modern artificial trees come in an enormous range of sizes and colors, and the possibilities for decoration are endless. Like other countries it is common for towns and cities in the UK to have their own trees and celebrations of turning on the trees and street decorations every year. Trafalgar Square in London receives a tree from Norway each year, as a symbol of thank you and friendship. The practice of trees being used as part of a winter celebrations dates back to Pagan times. Branches were used to decorate their homes and Romans used trees to decorate their temples. It is estimated that Fir trees begun being used around 100 years ago in Northern Europe, one thought being that they were hung upside down from the ceiling. There are several references to trees being paraded and decorated in Germany in the 1500s and one of the first references of a Christmas tree being brought indoors is a story told about the German preacher Martin Luther in the 16th century. He took a tree home after seeing the stars shining through the trees which reminded him of Jesus. 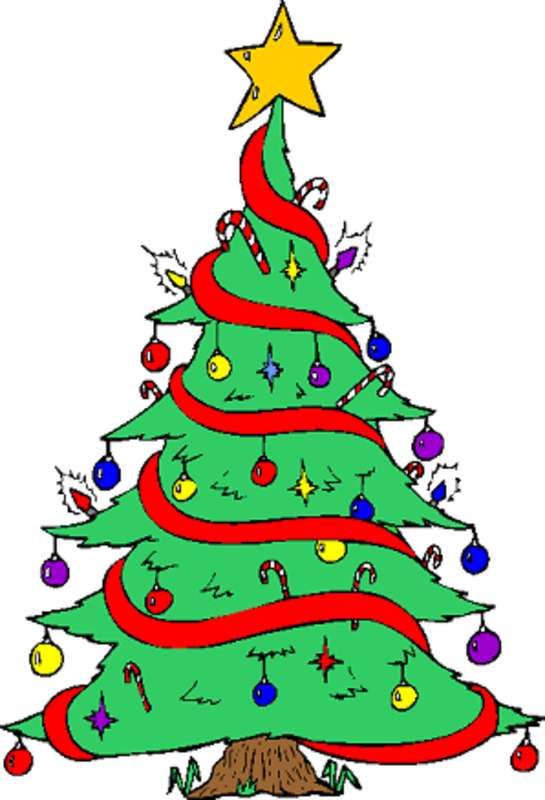 The first Christmas trees in Germany were decorated with gingerbread and fruit. Initially a figure of baby Jesus was placed on to of the tree, later it became a fairy or angel. Glass decorations were introduced as well as colored paper flowers and candies. Tinsel was also invented in Germany. Every Christmas Mince Pie Must Be Hot! 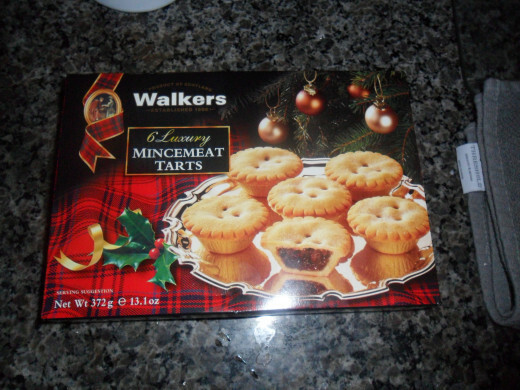 You are welcome, if you are ever near a Wegmans they have them around Christmas time! I think the US celebrates some of the very same things. I would love to have a Christmas pudding one day, it sounds so good. Thanks for sharing this delightful tradition. Thanks for reading! Us Brits do love a good Christmas. I especially miss all the Christmas TV, all the Christmas specials. I will check out your hub.